Nap- the wooly or fuzzy surface finish of some fabrics and some leathers such as suede and antelope, reversed calf and side leather. Neoprene- an elastomer, polychloroprene formed by adding hydrogen chloride to monovinylacetylene. First made by dupont in 1931, neoprene is widely used in footwear for outsole, heels and welting, to impregnate cellulose fibers for insoles and counters , and as an adhesive. Nitrile rubber- copolymer of acrylonitrile and butadiene. Used for outsoles which may be cemented or sewn to uppers. This material has excellent oil and grease resistance. May be compounded with pvc to make a soling material. Orthopedic devices- any device of leather, metal or other material included in the construction of a shoe or inserted in a shoe to prevent or correct foot defects and deformities. 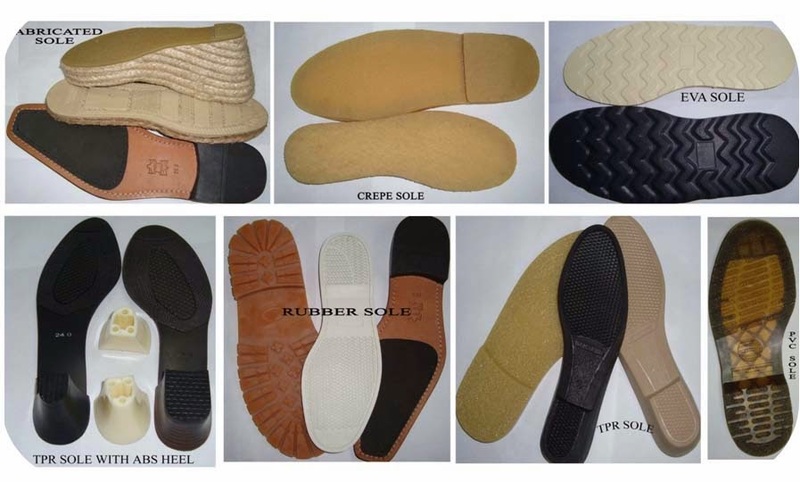 Outsole- the bottom sole thickness the surface of which is exposed to wear.